The IntelliCyt-FIMM collaboration will further the development of personalized medicine in cancer treatment by analyzing the effects of investigational oncology compounds on patient cells. We see tremendous potential in applying IntelliCyt’s technology to help analyze drug effects in a high-throughput manner in primary cells from cancer patients. IntelliCyt, a leading provider of integrated platforms that accelerate drug discovery, antibody screening and immuno-oncology research today announced a collaboration with the Institute for Molecular Medicine Finland (FIMM) at the University of Helsinki to further the development of personalized medicine in cancer treatment. FIMM will utilize IntelliCyt products to test and analyze the effects of approved and emerging investigational oncology compounds on patient cells. 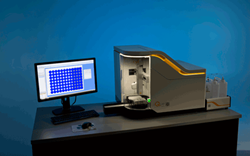 IntelliCyt’s iQue Screener platform is an integrated instrument, software, and reagent system that offers rapid, multiplexed analysis of cell and bead-based samples in 96, 384, and 1536 well plates. The iQue’s proprietary rapid sampling technology uniquely enables rapid assessment of cells in suspension, such as those found in blood and bone marrow, by miniaturizing the assay format, which conserves precious patient samples for further analysis. Profiling phenotypic and functional endpoints of cells, while simultaneously analyzing secreted proteins through the use of bead-based assays, generates rich information from the fewest numbers of cells. Plates are processed rapidly, and software-assisted automation, analysis, and experiment-level visualization tools help reveal deep insight into complex biology which will allow FIMM to more rapidly evaluate which anti-cancer drugs or combination of drugs would most likely provide the optimal treatment on an individual basis. IntelliCyt Corporation manufactures and sells instrumentation, software and reagents that facilitate the study of cells and their components to gain a better understanding of normal and disease processes. This information speeds the discovery and development of new drugs and provides new insight for the diagnosis of diseases. IntelliCyt’s products are used worldwide throughout the pharmaceutical and biotechnology industries and in nonprofit research labs. For more information, please visit http://www.intellicyt.com. The Institute for Molecular Medicine Finland (FIMM) is an international research institute in Helsinki focusing on human genomics and personalized medicine. FIMM is hosted by the University of Helsinki and is part of the Nordic EMBL Partnership in Molecular Medicine as well as the EU-Life network. FIMM integrates molecular medicine research, technology center and biobanking infrastructures “under one roof” and thereby promotes translational research and adoption of personalized medicine in health care. In 2015, FIMM had a staff of 200 and an annual budget of 16 million €, with competitive external funding accounting for a significant part of the budget. For more information, visit http://www.fimm.fi/en.